The next UK government could be taking on huge risks when equipping the British military because accurate data simply is not available, according to a report by King’s College London. The report, titled ‘A Benefit, Not a Burden: The Security, Economic and Strategic Value of Britain’s Defence Industry,’ is primarily concerned with the correlation between the defense industry and broader economic prosperity in the UK. It argues: “Without a vibrant and thriving domestic defense industrial base to provide this, there is a risk that the UK will jeopardize its freedom to act in an unstable, fast-changing world. Matthew Uttley, study co-author and professor of defense studies at KCL told the FT: “We are not criticizing the way the MoD conducts weapons acquisition. It argues that by buying British equipment where possible, some cuts may be avoided because of the positive impacts domestic sourcing brings the economy. The report echoes recent calls by a number of establishment figures that 2 percent of gross domestic product (GDP) ought to be committed to the defense budget in line with NATO membership commitments. “In a world where there is not enough money, we have to reserve it for areas where we can make a critical difference,” they state. 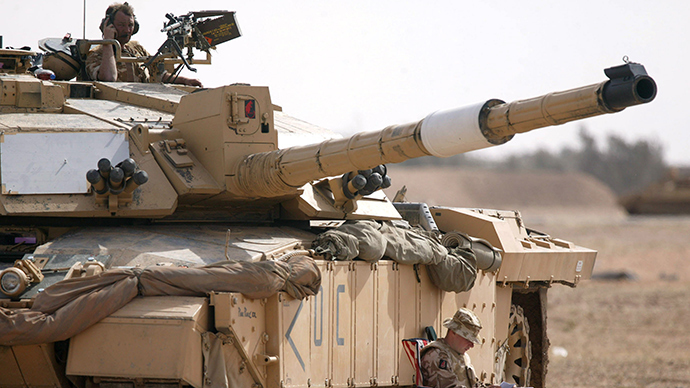 Last month MPs warned that Britain’s defense budget could end up £5 billion short after the Ministry of Defence (MoD) underestimated the bill for its 10-year equipment plan.